Details of security scandal released: Fifty-two-year-old Ameer Makhoul from Haifa, a well-known figure in the Arab community in Israel, and 50-year-old Omar Said of Kfar Kanna, were arrested on suspicion of committing serious security offences, including espionage and contact with a foreign agent from Hezbollah. A gag order on the matter was partially lifted at Ynet's request on Monday, meaning some of the affair's details are still confidential. Makhoul was arrested in his home in Haifa last week in front of his wife and children. He is suspected of being in contact with a Lebanese element of the Hezbollah terror group, espionage and contact with a foreign agent. Several computers were confiscated from his home. Said was arrested in April. The affair is under investigation by the Shin Bet and the Israel Police's international crimes investigation unit. The probe is being carried out with the attorney general and state prosecutor's knowledge. Makhoul, who was arrested last Wednesday night, heads Ittijah, the umbrella organization for Arab community-based associations in Israel, and is also head of the Higher Arab Monitoring Committee's sub-committee for the defense of political freedoms. He is a well-known figure among organizations around the world, an author, and the brother of former Knesset Member Issam Makhoul. The suspect, whose remand was extended by six days, has spoken out against Israel numerous times in the past. 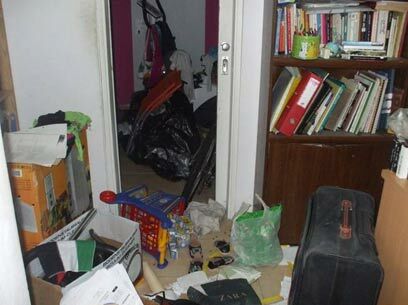 Makhoul's family said that 16 Shin Bet agents entered their home without saying a word and arrested Makhoul, and confiscated computers and cellular telephones. "It was a particularly brutal search," Makhoul's lawyer Hussein Abu Hussein said. "The world has undergone a digital and technological revolution and here they still live by the dry rules of ancient laws that do not match the spirit of the times. This is a virtual world, and security offences are not virtual," the lawyer said before meeting with his client. Balad activist Omar Said was also arrested in the affair. He was detained some two weeks ago at the King Hussein Border Crossing on his way to Jordan. He was taken to the Shin Bet facility in Petah Tikva, and his lawyer met with him for the first time Sunday night. "I met with a thin and feeble man. He told me that he is sometimes questioned for 18 hours straight by five interrogation teams," said Abu Hussein, who is also representing Said. See all talkbacks "Israeli Arab figures suspected of espionage"